Most everyone that knows me is aware that I have a slight obsession with hand planes. One of the questions I’m often asked is what the different types of planes are used for. In other words, what’s a “jack” plane? Or a “try” plane? Historic Deerfield in Deerfield, Massachusetts has a short, informative video about the uses of traditional hand planes in the 18th century. To recap, the Jack plane was used to remove surface roughness left by the saw mill. Jack planes range from 14″ to 16″ long. That would be a No. 5 Stanley plane. The “Try” plane was a little longer. This enabled it to create a smoother surface than the jack plane. The blade of the jack plane typically has a slight “crown,” or radius which left shallow undulations, or valleys, after planing. The Stanley equivalent would probably be a No. 6 or No. 7. A Jointer plane was, and is, the longest plane ranging from 22″ to 24″ or longer. Its primary purpose was to straighten the edges of boards in preparation for glue-up and assembly. The idea is that the longer length skims off the high spots and leaves a straight, square edge. The smoothing plane is usually the last plane to touch the wood. Its shorter length (7″ to 9″) makes it ideal for getting a glass-smooth surface. It’s also used for fine-tuning joinery. No other tool can accurately remove ultra-thin shavings for a perfect fit. 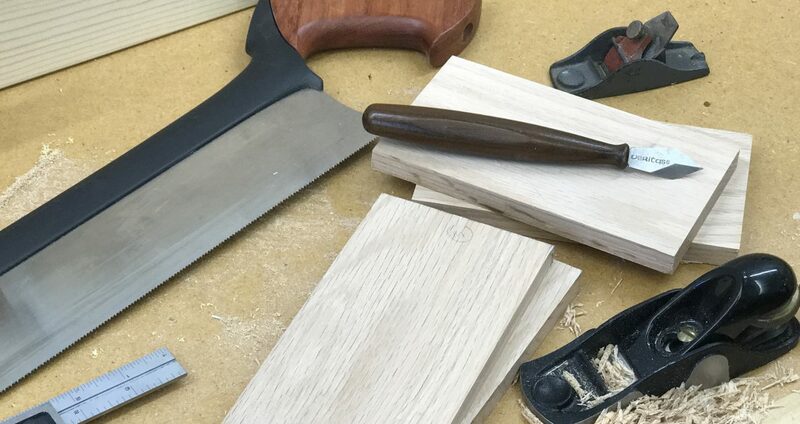 With today’s modern woodworking equipment like surface planers and jointers, the need for Jack and Try planes is somewhat obsolete. However, in my small shop, I don’t own a power jointer. So I use my No. 7 or No. 8 Stanley on a regular basis. But my go-to plane of choice is a No. 3 smoothing plane. It’s the perfect size for most of the projects I work on and it fits my hand perfectly. It touches almost every workpiece before final assembly of the project. Posted on September 7, 2013 September 6, 2013 by Randy MaxeyPosted in Hand Planes, Hand Tools, WoodworkingTagged Hand Planes, Tools, Woodworking.